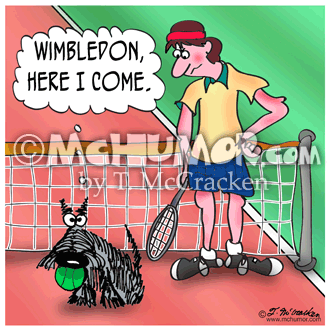 Dog Cartoon 9181: As a scowling tennis player looks on a dog with a ball in its mouth on a court thinks, "Wimbledon, here I come." 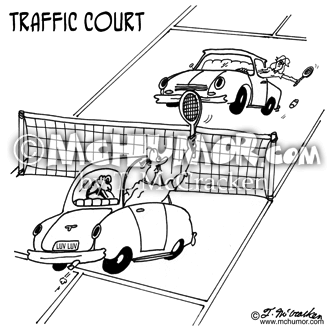 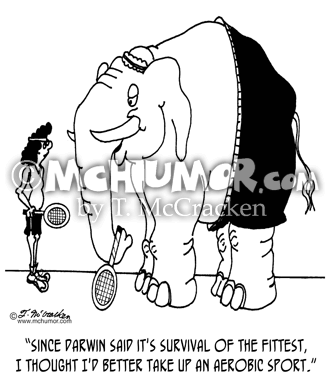 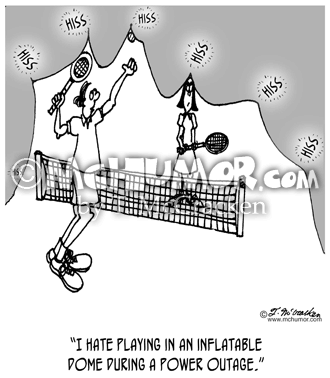 Tennis Cartoon 4225: A tennis player in a collapsed plastic dome saying, "I hate playing in an inflatable dome during a power outage." 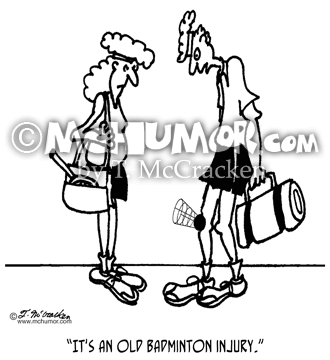 Badminton Cartoon 3464: Someone with a birdie embedded in his knee saying, "It's an old badminton injury." 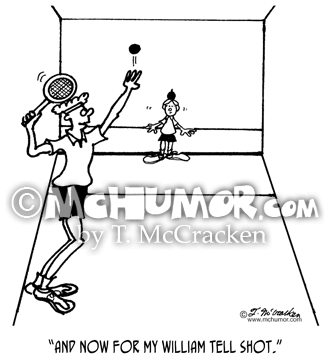 Racquetball Cartoon 3465: A racquetball player about to hit an apple off a boy's head with a ball saying, "And now for my William Tell shot."